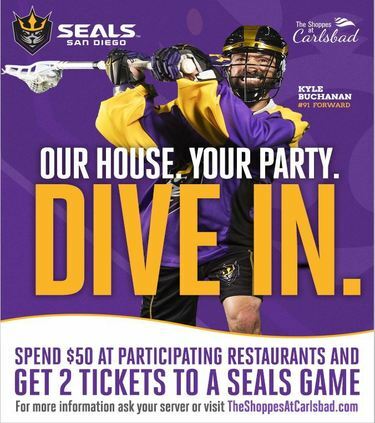 Spend $50 or more at these participating restaurants and receive a voucher for two free tickets to any San Diego Seals game in April! See your server for details! Click here for the Seals Schedule!